Car Written Off After Vandalism: Can I Claim Off Offender? 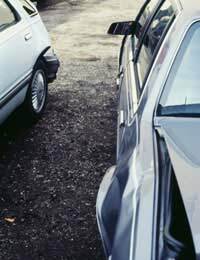 Home > Ask Our Experts > Car Written Off After Vandalism: Can I Claim Off Offender? My car was deemed a total loss after vandalism. The offender was caught and went to court 1st May and there has been no feedback to me. What steps I can take to render me full compensation or make a civil action against the guilty person? There are a few different ways to claim compensation for your loss due to vandalism to your property. The route you take may ultimately be dependant on whether or not the offender was convicted of this crime. The two main routes of compensation in this particular case would be a compensation order and suing the offender in a civil court. If the offender has been caught and convicted of the crime then the court may order them to pay compensation. The victim cannot apply for a compensation order but must make the police aware before the court case that they are seeking compensation. If the court awards compensation then the offender would pay the court the compensation that would then be passed onto the victim. Unfortunately if the case has already gone to court and no compensation was requested then this route may not be applicable. The offender can be sued in a civil court regardless of whether or not they were found guilty in a criminal court. There is a set process to suing someone in a civil court and this begins with establishing a basis for a claim. A solicitor will usually be employed to make sure there is a legal basis before proceeding with this type of action. If there is a legal basis the next step will be to notify the offender in writing of the intention to proceed with civil court proceedings. By sending this notification the victim is giving the other party a chance to rectify the matter without the need for court proceedings. If the other party does not pay the damages or even refuses to negotiate on the matter then the victim can proceed to make a claim. The next step in the claim process will be to fill out a claim form and send it to the relevant court; this will usually be the local county court. The claim form should be sent along with case details and the required court fee. If the case is a complicated one then this should be handled by a solicitor who will write the details of the incident and send it to the court. The other party will be notified of the claim and will be given time to respond. If the offender decides to fight the case then the court will begin proceedings by deciding on one of three different allocations for the case. This could be a small claims case with a value of less than £5,000, fast track case with a value of £5,000 to £15,000 or a multi track case with a value over £15,000. The court will also make both parties aware of how the case will proceed such as the timetable for the case. Finally, a judge will be listed for the case who will then decide on the outcome. How to Stop Vandals Persistently Slashing Car Tyres? Hi my car was stolen and written off by a group of teenagers who where arrested while trying to restart it. It's only worth £500, my excess is £350 so no point ruining my insurance by making a claim, I need a car for work and have lost a few days pay.....would a criminal compensation order cover for loss of my car and loss of pay? they are all 14 years old so I doubt they would be able to pay any fines imposed on them never mind a compensation claim so how does it work? My car was wrote off by a drunk driver whilst parked outside my house, who was fleeing the police, he was arrested at the scene.My car was on the road uninsured (was in process of selling, could no longer afford to run it) so the police said if I signed it over to them, because of the circumstances, they wouldn't take action. Am I still able to claim anything off the other driver? I have heard nothing at all regarding the incident. You'd have to try and claim via a solicitor since you aren't insured. My car was wrote off by a drunk driver whilst parked outside my house, who was fleeing the police, he was arrested at the scene. My car was on the road uninsured (was in process of selling, could no longer afford to run it) so the police said if I signed it over to them, because of the circumstances, they wouldn't take action. Am I still able to claim anything off the other driver? I have heard nothing at all regarding the incident. I live in a retirement apartment run by a housing association with private parkíng to the rear ihad a car vandalised three months ago it was a write off, two weeks ago all my tyres on my new car were slashed, there have been three other incidents over the last two years, we have repeatedly asked for CCTV coverage of the car park, all we get is it"s an invasion of privacy, surely this cannot be correct. No, a housing association would be within the law to erect CCTV in one of its own car parks as long as it was accompanied by the correct notices alerting users to the fact. @jessiemac92. You'd need to seek legal advice to see whether this is likely to be successful. If a small claim (<£5000) is lodged with the county court, will they get a county court judgement and can any award be enforced with bailiffs because only by taking away their TVs/playstations and beds, will they realise how serious their crimes are to the victim.